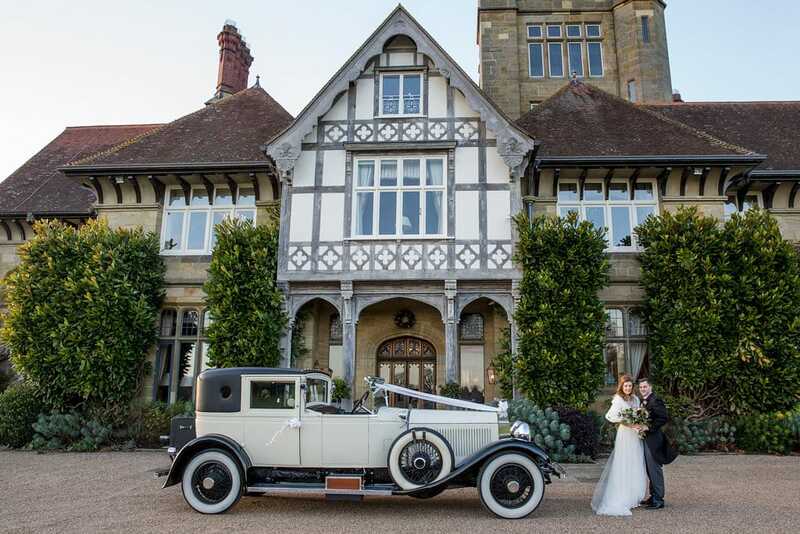 West Sussex Classic Wedding Cars - West Sussex Classic Wedding Cars - Blog. Hannah and Jonny were delighted with the bridal car and I am only sorry that we did not have longer to talk. The Almighty was good to us in terms of the weather and all in all we had a great day. 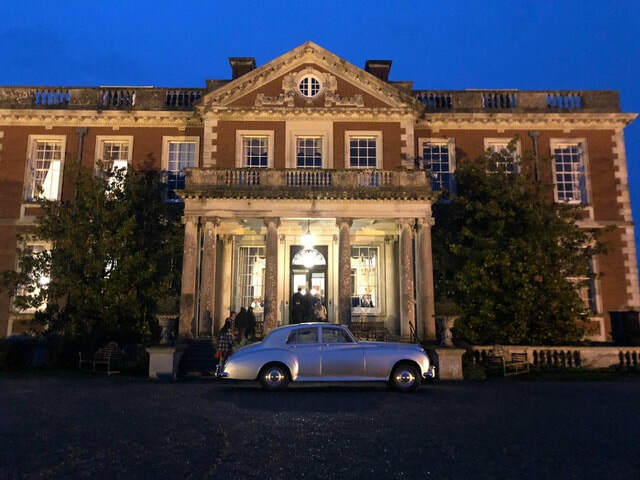 The Rolls is a very special car and I wanted to particularly thank you for all you help and suggestions as we finalised all the arrangements. My only regret is that I never managed to come over to Arundel to see all your cars but perhaps I can save that for my next visit to UK. Hope that your paths will cross again. Ali and I just wanted to thank you very much for the last minute booking of the best car. We really felt we couldn’t have got married without you - all you did to make us feel very special and make sure things ran smoothly. The car was just amazing. We were also very grateful for your care of the boys - they loved meeting you too and the chat they had with you. We’d love to come and see all the cars at some point. In the meantime, attached are a few photos of the car looking amazing outside the house. Hope all has gone well with the move. Thanks again. Now the dust has settled and Alan and I have had a few days to recover we just wanted to say a huge thank you to you! Firstly my apologies for being late, I had underestimated the time it takes for 4 ladies to get ready and naively thought 20 minutes to get into my dress was enough! 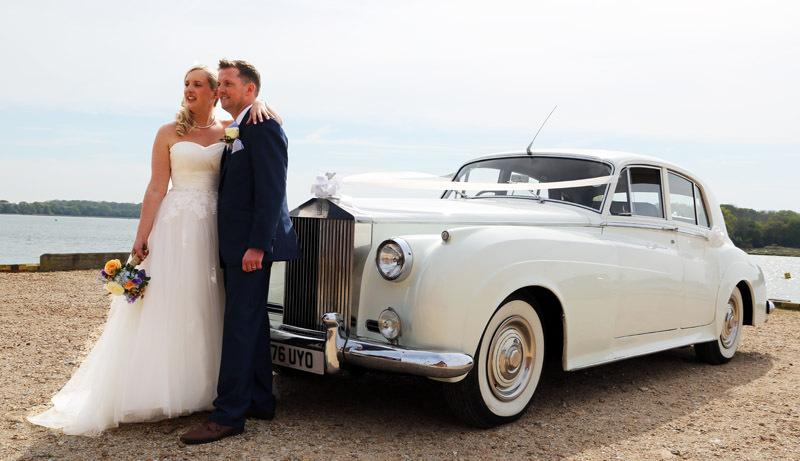 I am so glad we picked your beautiful car to take us to Angmering Manor and the drive after allowed Alan and I enough time to take stock of what had just happened and give us some precious moments together. The car was commented on by a lot of our guests at just how beautiful it was. You were very professional and easy to deal with from start to finish. Our day was perfect from start to finish and you were a pivotal part of the wonderful memories we have from our day that we will cherish forever. I am an only child and this amazing experience gave my dad (and us) a perfect start to the day. All that is left to say is we wish you a very Merry Christmas and a Happy New Year. Thank you for an exemplary service on Saturday. You did absolutely everything that you promised and made our life so very much easier !! Your guys were also so helpful and considerate again easing the pre-wedding nerves ! We will be sure to be recommending you to everyone we can and hope that our paths cross again. I hope you're well, so sorry it's taken me so long to email! Dean and I just wanted to email to say a huge thank you to you and your colleague for your wonderful services on Saturday 3rd December. 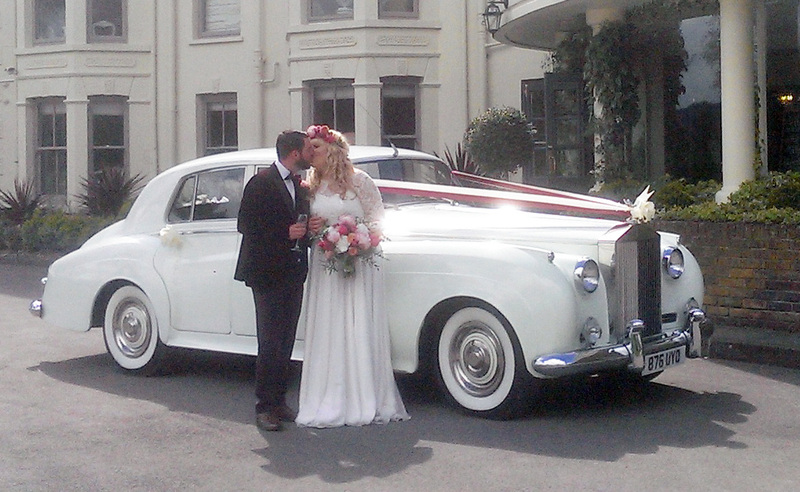 The car looked so beautiful, all of our guests commented on it! Dean hadn't seen it prior to the wedding and he was blown away. To be driven around in style by two such lovely gentleman was a pleasure, we had such fun driving through Midhurst waving at everyone! The champagne, chocolates and flowers inside were also a lovely touch. 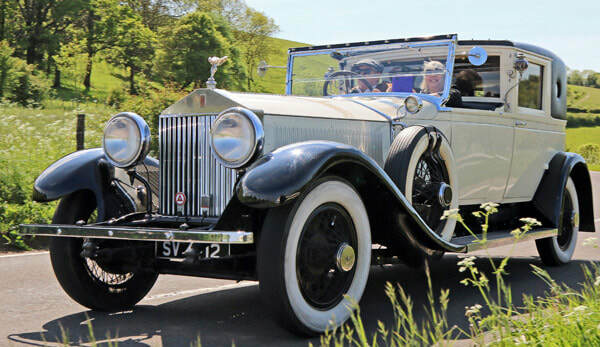 I have attached a couple of images from our photographer which we got sent yesterday which I think are lovely of the car! Thanks again Scott, wishing you a very happy Christmas and New Year! Scott , Many thanks for your help during our fantastic day. It was the best! And we couldn't of done it without you! We have made it to Spain with no problems and are exploring all the many vineyards . 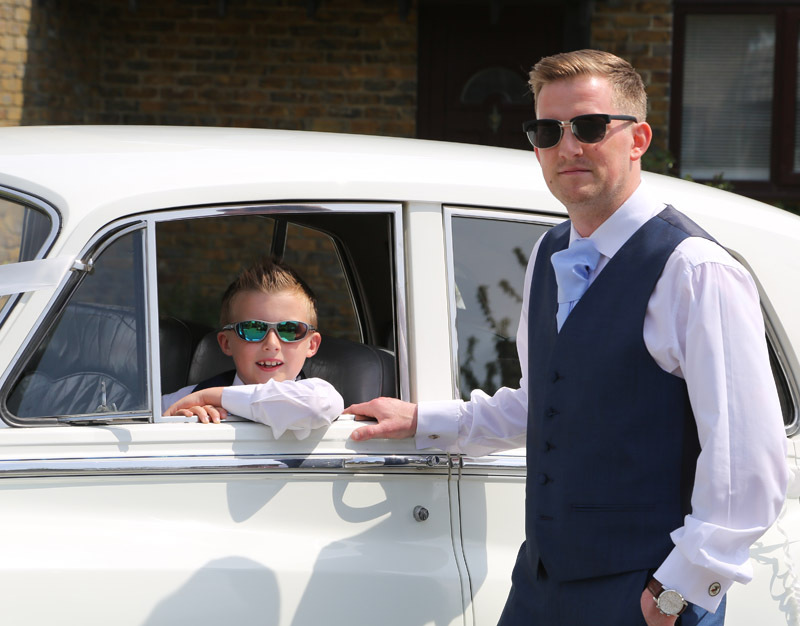 'The two beautiful cars you provided for our son's wedding were the talking point of the day. You arrived early, which was a relief to us, and were in no hurry to rush away giving lots of photo opportunities. 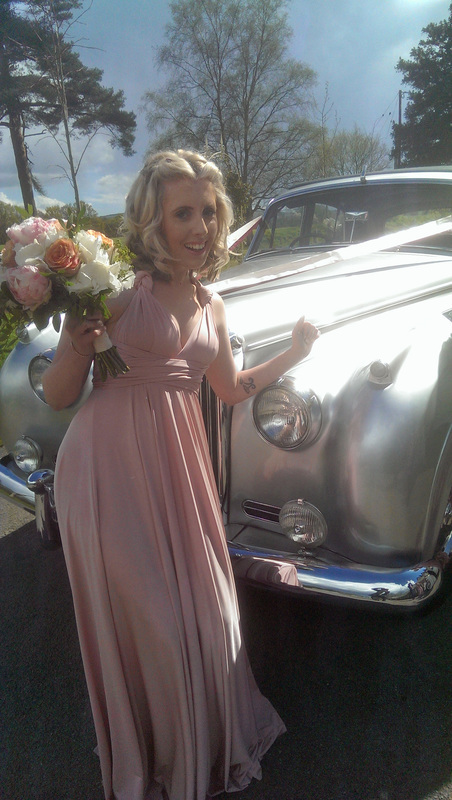 The cars provided a lovely backdrop for the extended bridal party photographs. We would also like to mention the friendliness, kindness and attention to detail of Scott.